Cynics often berate the power of one person against the masses. That one individual can change the course of history seems statistically improbable. Yet history is composed and inspired by exactly such personalities. 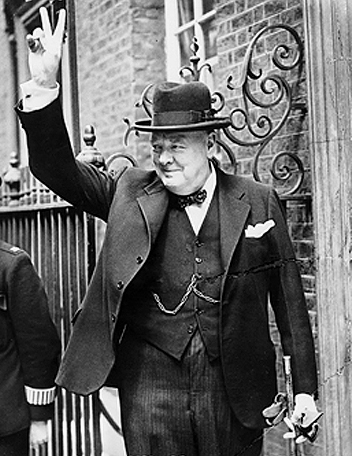 Without the steadfastness of Winston Churchill, it is not clear the Nazis would have been defeated. Without the clarity of Abraham Lincoln the course of American history may have taken a different, darker turn. The examples are countless. The Kli Yakar is of the opinion that one man can inspire others to righteousness. That inspiration, amongst other things, has an interesting side benefit. Protection from sin. In the beginning of the Book of Exodus, the Bible recounts briefly how the children of Israel descended to Egypt. It adds that ‘Joseph was in Egypt’. The grandfather of all commentators, Rashi, explains that this sentence alludes to Joseph’s righteousness. The righteousness though is only mentioned after his death, for how can we know the full account of a man until after his life has been lived? The righteousness is further compared to the stars that stay forever in the sky after the setting of ones life. Such people are protected from sin. Why? The Kli Yakar (Exodus 1:1) explains that there should not be a situation where the man who inspired so many, should go to Hell, while his disciples go to Heaven. Hence, protection from sin. May we have opportunity to inspire others and be inspired ourselves. To the many who have inspired me. To those I have the privilege of teaching. Your merit may be the thing saving me from worse destinations.